Animals and plants are constructed from materials that are readily at hand – no dangerous mining endeavors in geo-politically sensitive areas. Sea shells are made from materials available in the sea water. Bone is made from components available in our (and our mother’s) diet. Insect cuticle is synthesized from maternal sources and from the individual’s diet. The materials found in nature have many of the same attributes as engineered materials, yet avoid the heat-beat-and-treat manufacturing methods that are so costly to us and our environment. We manufacture materials by applying large amounts of energy so we can first homogenize materials, then add even more energy, and dangerous chemicals, to impose the structure that we want. 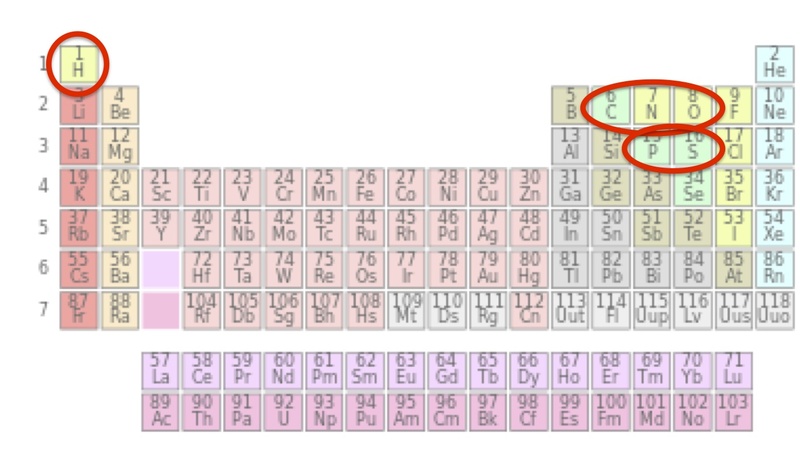 The periodic table categorizes more than 100 elements. Although around 25 types of elements can be found in biomolecules, only six elements are most common. These are carbon, hydrogen, nitrogen, oxygen, phosphorus, and sulfur. Few metals are used by nature, although iron, zinc, and manganese are essential in various ways. If you create and then overlay* Ashby plots of biological and engineered materials you will learn that nature has many more tricks up its sleeve than we do. Insect cuticle is very similar to skin and bone, and some of the engineered materials, it is also ubiquitous, yet we know still so very little about it. As an old seasoned insect physiologist I am still amazed by the insect cuticle since it can have varied structure at the meso-level (allowing insects as a group to live out many life histories), yet the basic (nano-, micro-) structure and components of the cuticle are not numerous or terribly exotic. The insect cuticle is all around us, it is what makes the insects so successful. The cuticle is produced at atmospheric pressure and at temperatures that are not extreme. 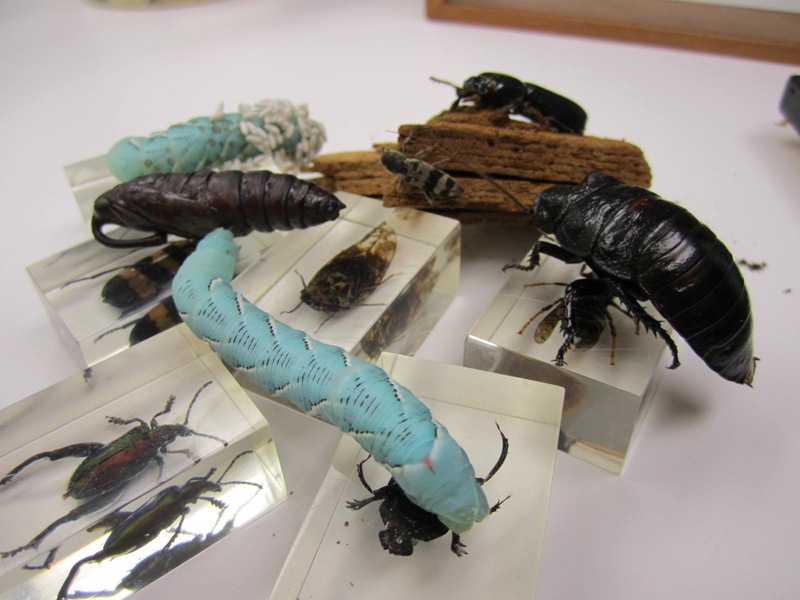 Simple building blocks, mainly chitin, proteins and water, make up the insect cuticle. It can have many different features and characteristics just because the building blocks occur in different ratios or orientations. Large amounts of the cuticle are recycled by the individual insect itself, and the remainder can easily be broken down by other life forms. Can we humans manufacture such an amazingly versatile material in a similar manner? To manufacture anything close to the insect cuticle we need to understand the characteristics of the material. The characteristics of biological materials, that set them apart from most synthetic/engineered materials, were recently defined and listed by Meyers et al. (1). (The closed-loop cycle characteristic of the cuticle is rather unique to arthropod cuticle and should be added to the list when considering the insect cuticle). Over the next few days/posts I will discuss each characteristic as it relates to the insect cuticle. At the conclusion of the series I will discuss how they all combine and result in the interesting mechanical properties of the insect cuticle, and how cuticle-inspired materials might become useful. *Feel free to contact me for Bioinspiration learning module using Ashby plots. Next: the multi-functionality of the insect cuticle. This entry was posted in Manufacturing, Materials. Bookmark the permalink. ← #EntSoc13 – One for the record books.